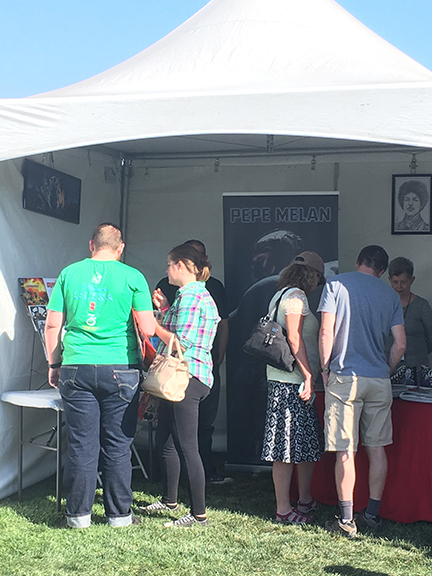 Thanks to everyone who stopped by my table at Kaleidoscope Music and Art Festival last weekend! Its awesome seeing everyone supporting local artist. I deeply appreciate your support more than words can convey!! The day was filled with people nonstop from opening until closing. I enjoyed talking with everyone that came by my table especially young artist that want to pursue art as a career. I remember feeling like I would never improve with my art ability but with consistency and stead work you start seeing your personal growth with time. I encourage them to keep at it no mater what. Thanks to all the City of Palmdale Recreation & Culture staff for your hard work in putting this great event together!! Also a special thanks to my friend Joi for snapping this shot of my art table! Looking forward to next years show!